Planet Aid Collects Donations During End-of-Year Cleanout - Planet Aid, Inc. This past month, Planet Aid partnered with the University of Rochester to collect unwanted clothing, shoes, and other textiles from students as they left their dorms for the summer. “Move-Out Cleanout”, the program at the university that facilitates the donations, allows students to donate (rather than dispose of) items in a sustainable manner, and makes this process more accessible on campus. Planet Aid placed yellow bins outside the doors of each residence building on campus, and over the course of move-out, collected almost 20,000 pounds of textiles. 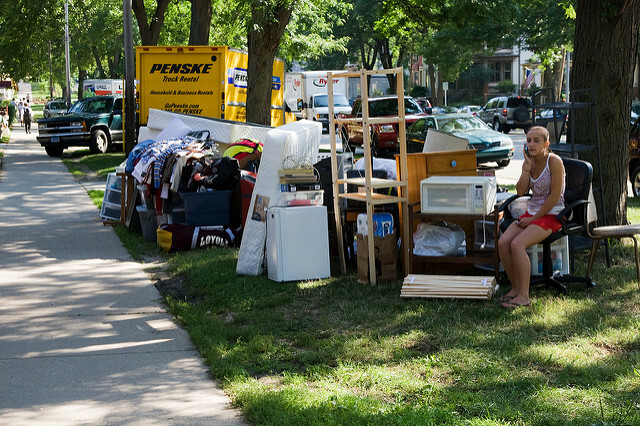 You can learn more about Move-Out Cleanout and the other non-profit organizations involved at the University of Rochester’s Green Dandelion blog.